Boeing and flydubai signed an agreement for a total of 225 737 MAX airplanes with a list price value of $27 billion at the Dubai Airshow 2017. Signed at the 2017 Dubai Airshow in flydubai’s hometown, the agreement includes a commitment for 175 airplanes ─ MAX 8, MAX 9 and at least 50 737 MAX 10s ─ and purchase rights for 50 additional MAXs. The deal represents the largest-ever single-aisle jet order – by number of airplanes and total value – from a Middle East carrier, according to Boeing. 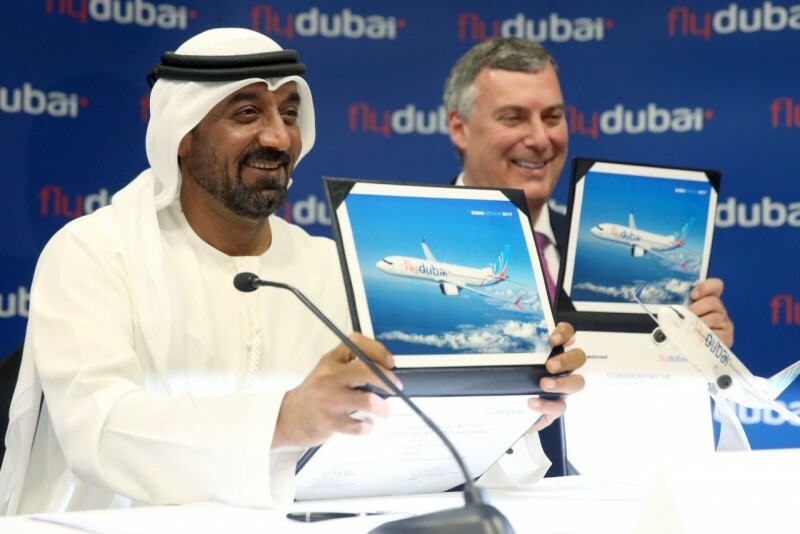 This new deal surpasses the flydubai’s previous orders of 75 MAXs and 11 Next-Generation 737-800s at the 2013 Dubai Airshow and the flydubai placed its first order for 50 Next-Generation 737-800s in 2008.To date, flydubai has taken delivery of 63 737-800s and three 737 MAX 8 airplanes, according to Boeing, but the airline claim it will only have a fleet of 61 Next-Generation Boeing 737-800 aircraft and Boeing 737 MAX 8 aircraft by the end of 2017. In addition, there is a lineup of 70 aircraft due for delivery by 2023. With today’s announcement, flydubai will have 320 aircraft on order.